Sound like a big business at a small business price. Ooma Office is an enterprise-grade phone service built to help small businesses look and sound more professional. 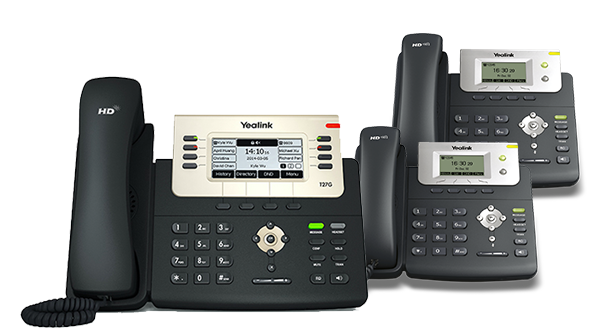 We now support select IP phones, analog phones, and mobile phones. Absolutely everything you’d ever need in a small business phone system. With Ooma business phones, you’ll appear more polished and professional to your customers. We offer a reliable VoIP phone service and advanced enterprise-grade phone features like a virtual receptionist, extension dialing, conferencing, and music on hold. And when your SMB grows, Ooma can expand with your needs. All of this is available for only $19.95 per month. Choose your starter pack: Get Ooma Base Stations and use analog phones OR upgrade to any of the IP phones we support. The 2-page brochure provides the information you need to know about Ooma Office. Find out how much you can save. Learn why Ooma Office is the best suited phone service for your small business based on how it is designed and built. Sophisticated VoIP technology meets elegant design.